Have you tried smoothie bowls? All the cool kids are doing it. I thought smoothie bowls were so dumb when I first saw them. Why not drink your smoothie with a straw like a normal person??? But then I realized the whole point is so you can have these fun mix-ins and toppings that would have to be blended up in a regular smoothie. Think yogurt with granola or ice cream with toppings. That’s the idea here. It’s freakin genius. This recipe came about when Edith Jorsch reached out to me with the idea of creating a recipe together. We met on Instagram and live in different states so we hopped on Skype together and came up with this in our kitchens one morning. Edith is incredibly talented and creates so many of her own recipes. I tried her bagel dogs a while back and they were to die for! She is a lot like me and has sensitivities to a lot of foods. I think it was good for me to work with Edith because she is so health conscious. I’m the type of person who looks at the foods I can’t eat and says “well, let’s see what I can get away with”. I just want to make yummy food that doesn’t make me feel icky. We tried limiting the amount of sugar in the recipe by sweetening it with a banana and used berries as opposed to other fruits. We also made it Whole30 compliant and included a vegan option. 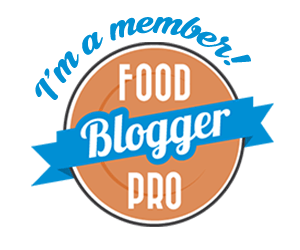 I’ve realized a lot of people come to my blog looking for paleo-vegetarian and paleo-vegan recipes so I’m going to start tagging those recipes so they can be found easier. Edith also introduced me to bee pollen. Isn’t it pretty? It tastes amazing too! I can’t wait to start using it as a garnish on other recipes. If you want to connect with Edith, you can find her on Instagram as @earthygals. Add coconut milk, banana, raspberries, and flax meal in that order into a blender jar. Blend until smooth. Transfer smoothie to a bowl and top with cacao nibs, coconut, blueberries, bee pollen, and chia seeds to serve. Use Natural Value brand or homemade coconut milk if you would like to keep the recipe Whole30 compliant.